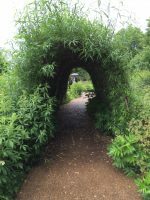 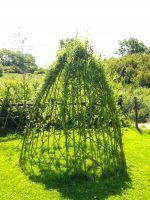 A living willow fedge is a natural, environmentally friendly decorative lattice screen in winter & covered in mass of vibrant green growth in the summer months, a green corridor & natural habitat for wildlife. It’s a living hedge that is also a fence & can twist & turn as required , to screen unsightly oil tanks etc, be used to divide areas of the garden or as a low cost, living fence. 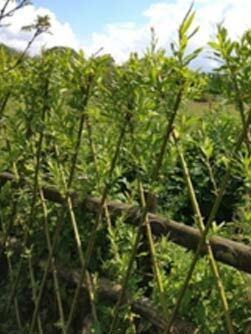 Simple to build as or kits , no digging is required simple & easy to maintain & are suitable for novices or professional landscape gardeners. 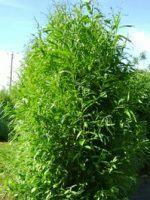 Our kits include everything required in one purchase, some companies offer standard, full, enhanced kits, some with a finished heights of 3-6′. 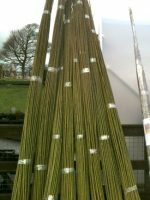 Hand cut, graded willow rods, Landscape fabric & pegs, Flexible tube-tie to secure the willow. Planting, construction & aftercare instructions with a detailed step by step guide with full colour photographs, all laminated for durability. 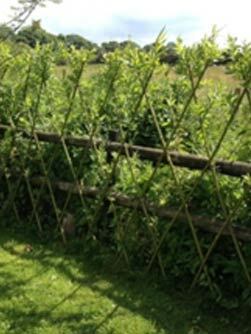 Kits available from 2-10 metres Please contact us for longer / taller options.